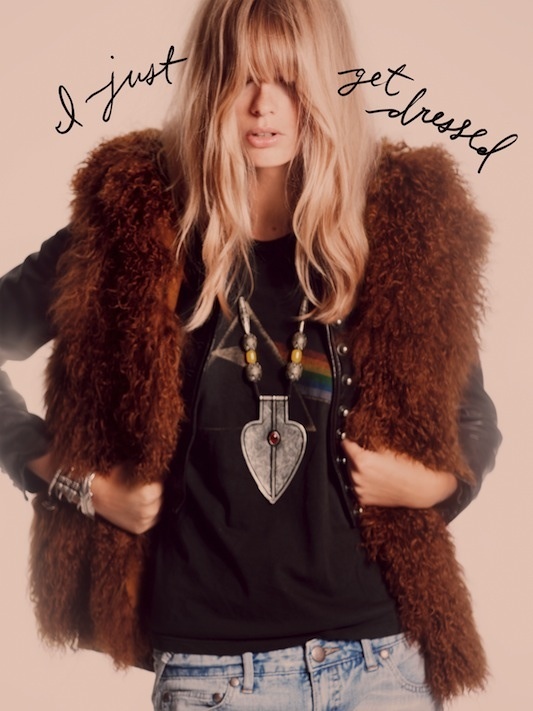 Julie Stegner (one of the most beautiful models in my opinion) for Free People Fall 2011 ad campaign. 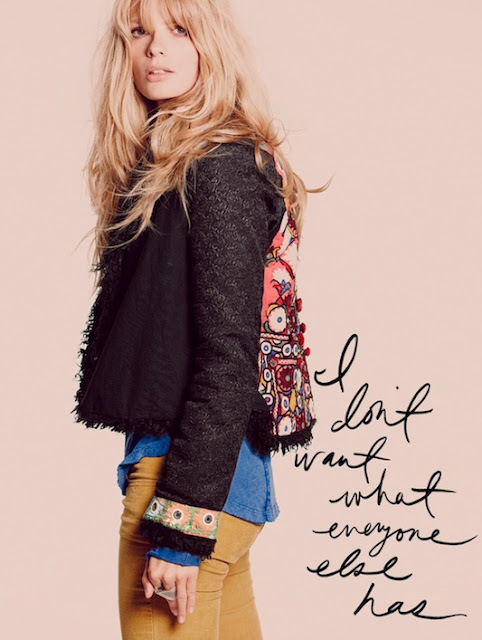 With Julie's tousled blond hair and relaxed attitude, every outfit seems so care free yet perfectly put together. Makes me re-consider Free People, a line I have never previously paid much attention to. She makes everything look so good! I like a few Free People pieces but sometimes I get disappointed by them when I see them in real life..
You are totally right about Julie Stenger being one of the most beautiful girls out there now.. I have total hair envy, as well!